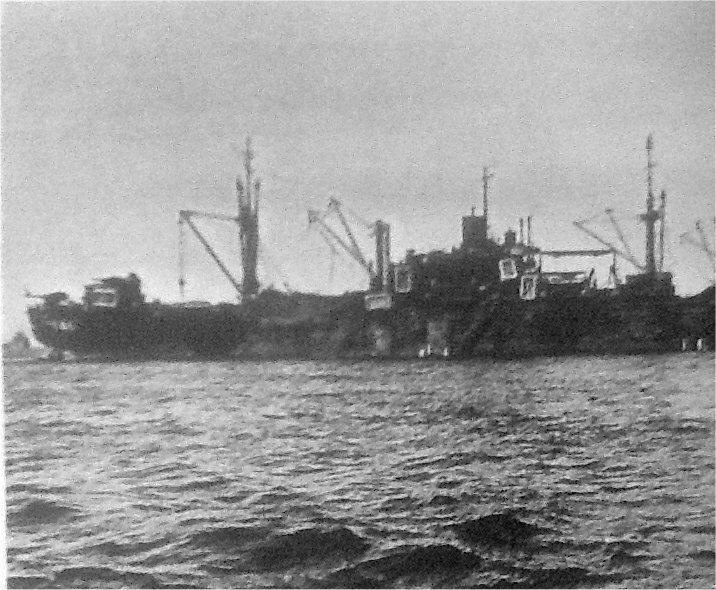 Laid down, 9 September 1944, as a Maritime Commission type (VC2-S-AP5) hull under Maritime Commission contract (MCV hull 57) at California Shipbuilding Corp., Wilmington, CA. 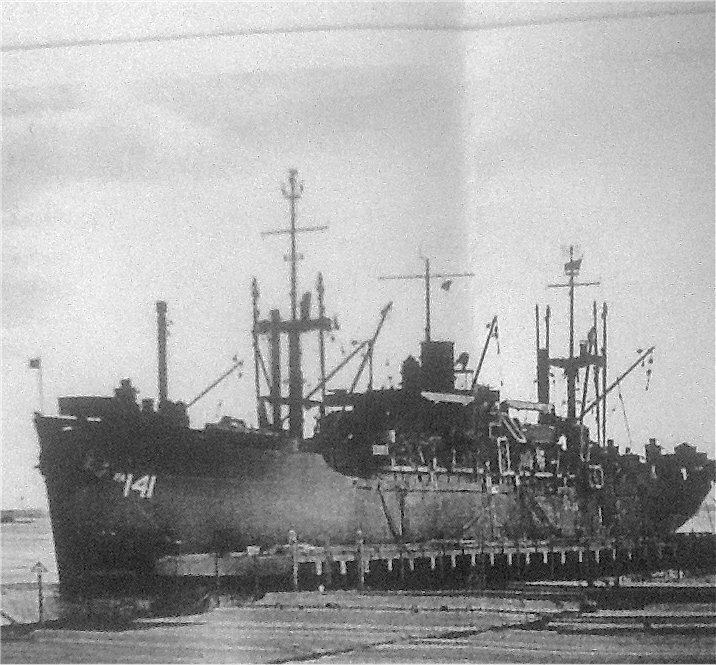 Decommissioned, 1 March 1946, at Norfolk, VA. 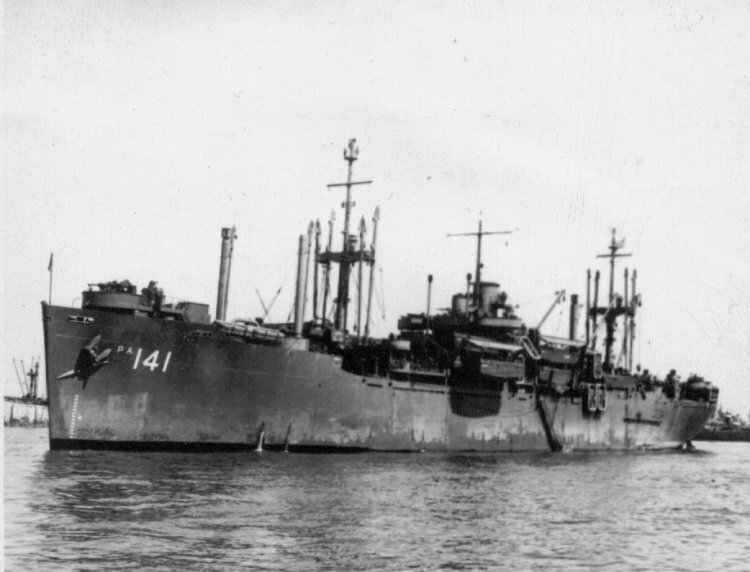 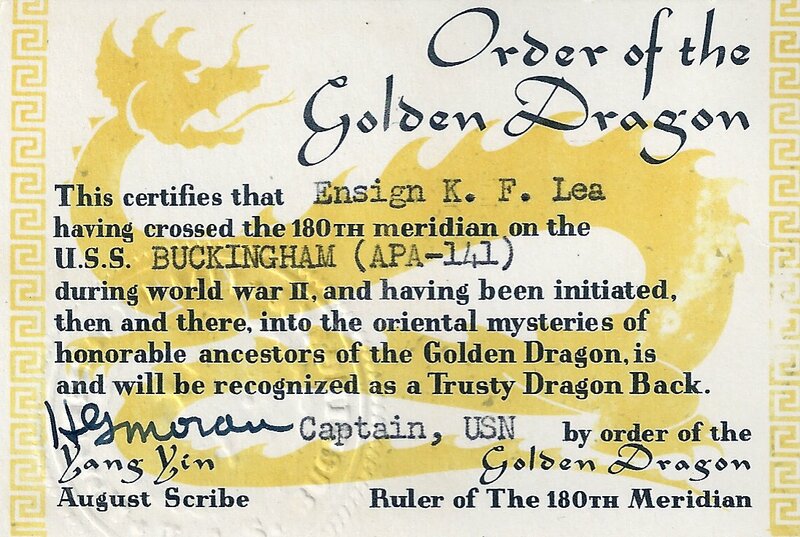 Returned to the Maritime Commission, 5 March 1946, for lay up in the National Defense Reserve Fleet, James River, Lee Hall, VA.
123k USS Buckingham (APA-141) moored pierside, date and location unknown. 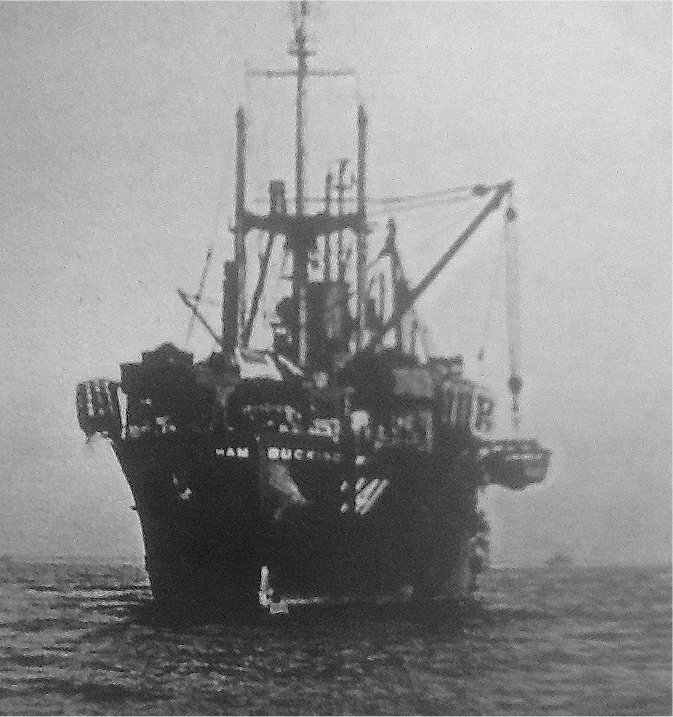 103k USS Buckingham (APA-141) at anchor, date and location unknown.